Like to sleep cool – The graphite latex foam did not get excessively hot for us at all. Kayla is typically always cold so heat was not an issue for her either. 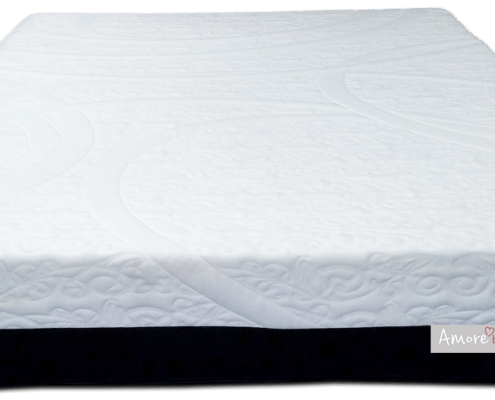 Prefer a memory foam feel- Amore uses latex which has a different faster reacting feel than memory foam. Memory foam is slower to react and you have a bit more of a sinking hugged feel. 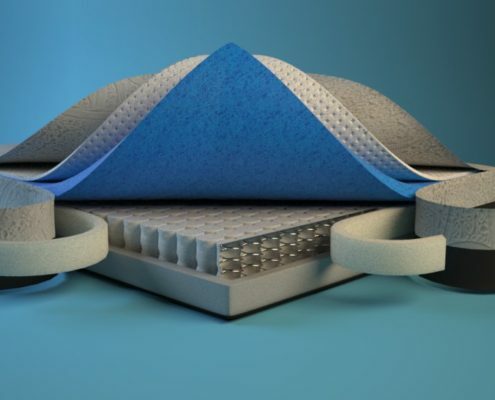 Are a heavier sleeper and want a very soft mattress – In order to acheive soft they use a less dense foam. On the soft side if you weigh over 280lbs you might have to worry about bottoming out for sitting or bouncing/kneeling. Laying wasn’t much of an issue however. Also, on the medium or firm you won’t find a problem with that. If you are heavier and want a soft mattress I might look somewhere else. But I think most people will go for the medium feel which performs well for those of you who like to switch it up throughout the night. Amore starts with a 2″ ultra-high-density structural base layer that supports 4″ of individually wrapped comfort-coils. There are about 885 of 4″ pocketed coils in a queen mattress consisting of 14.5 gauge wire. Those coils are surrounded by foam encased edging. Above that is another 4″ of polyfoam optimized for pressure points and comfort. 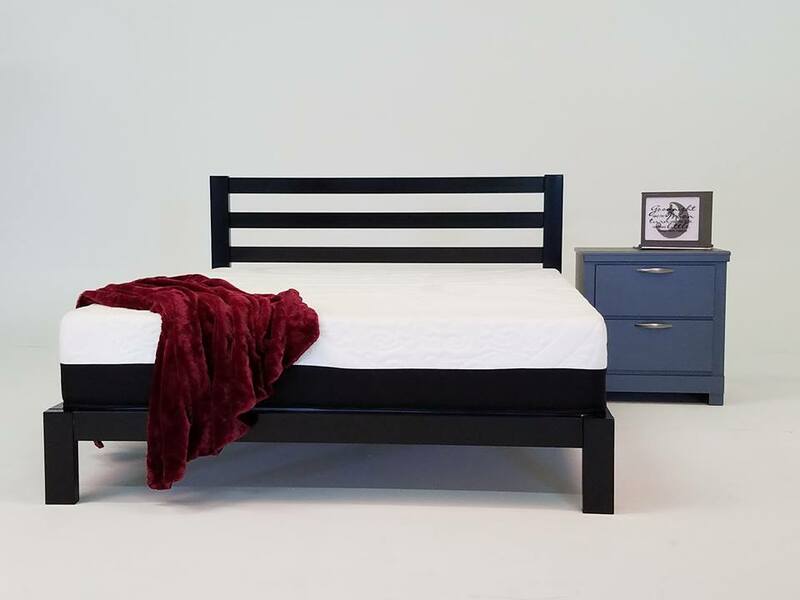 Last, and most important, a 1″ Talalay graphite infused latex makes up the top layer that works in harmony with the rest of the layers & provides a cool sleep surface. Take $60 OFF any size with our link. The GhostBed is one of my favorite mattresses, rating well on all parameters. Its a good choice when you compare mattress spec’s (foams, thickness, warranty etc.) vs price as well as comfort. I would recommend this mattress for all body weights and sleeping positions. 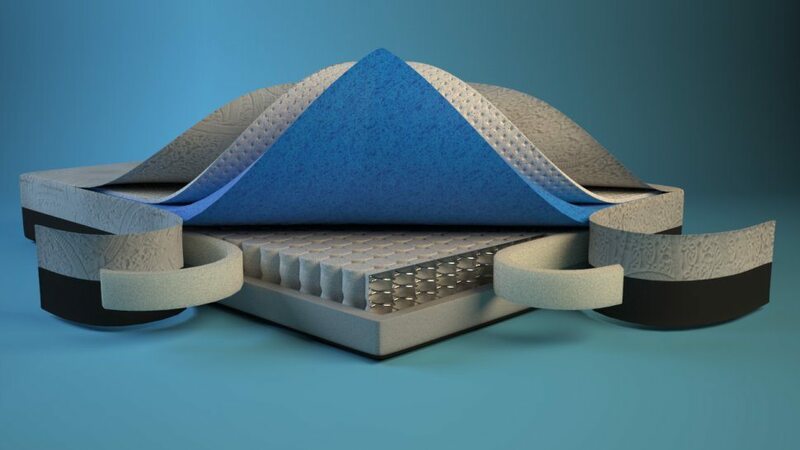 The core foam they use is denser then most of the brands online so this mattress would be good for heavier people as well when compared to a mattress with a less dense core.